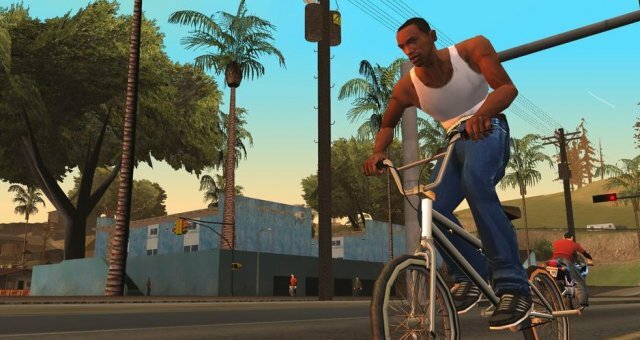 In courier missions CJ has to find a BMX near a restaurant, this will start a mission where CJ has to deliver food or something else. You can find this place in Commerce, Los Santos. As soon as you get on the bike the mission starts. After completing all 4 levels CJ will be rewarded with $4,300 and CJ will get Roboi's Food Mart as an asset. Everything is the same as last time but now you don't need to ride with the BMX but you get the Freeway parked near the store in Queens, San Fierro. You will also get this place as an asset. It will generate $2,000 every day. Everything is the same as the last 2 missions but now you need to get on the Faggio near the Burger Shot in Redsands East, Las Venturas. This will become available after the mission Yay Ka-Boom-Boom.